We just got our shipment of Yellow Balance frames. Preorders are shipping out this week and we have a few dozen in each size left in stock. 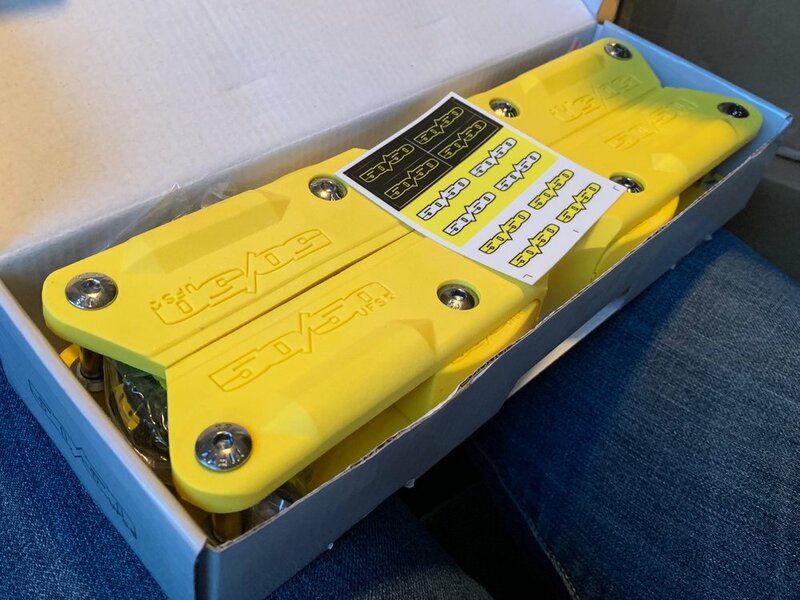 Each Frame Kit comes with Yellow frames and juice blocks as well as custom black and yellow laces. Get them while you can, we won’t be ordering more. We're proud to announce the new 50/50 wheel. Designed specifically for the 50/50 Balance Frame, the wheels are 58mm and 85a. The unique profile provides the perfect angle for avoiding wheel bite on low profile frames, while offering a flat ride surface for landing gaps. Combined with the softer urethane, these are an incredible skating experience. The color for 2019 is Yellow! Preorders for the Yellow Balance frames are going on now with delivery in early April. Every order comes with yellow juice blocks includes a set of 50/50 laces, 63” black with yellow logos. 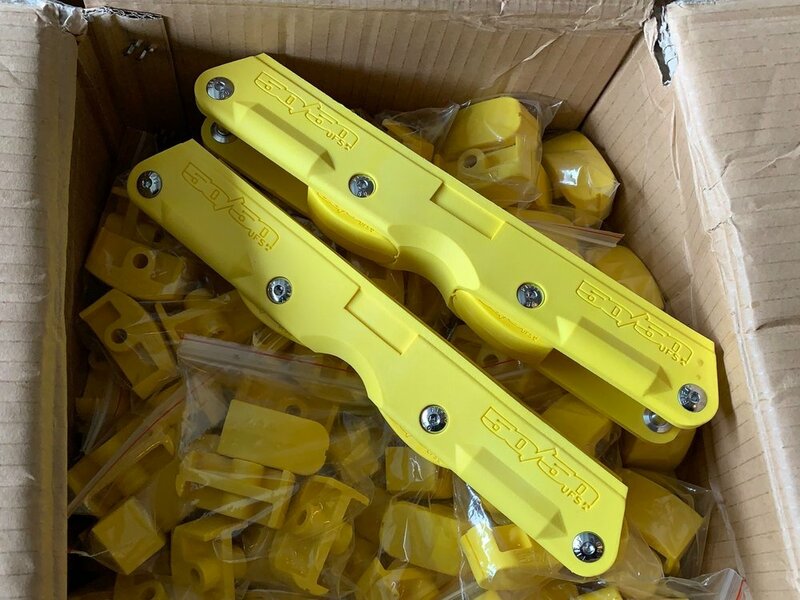 If you have any questions about the Yellow Balance frames, or want to carry them in your shop, let us know. It's important to support local shops, they're the best way to grow the sport. If your shop is out of stock, or if you're looking for something they don't carry, you can always order from us. Sign up with your email address to receive news from 50/50.